I stepped off the train in a freezing cold Cardiff and even then, eight hours before kick-off, I knew I was in for something special. 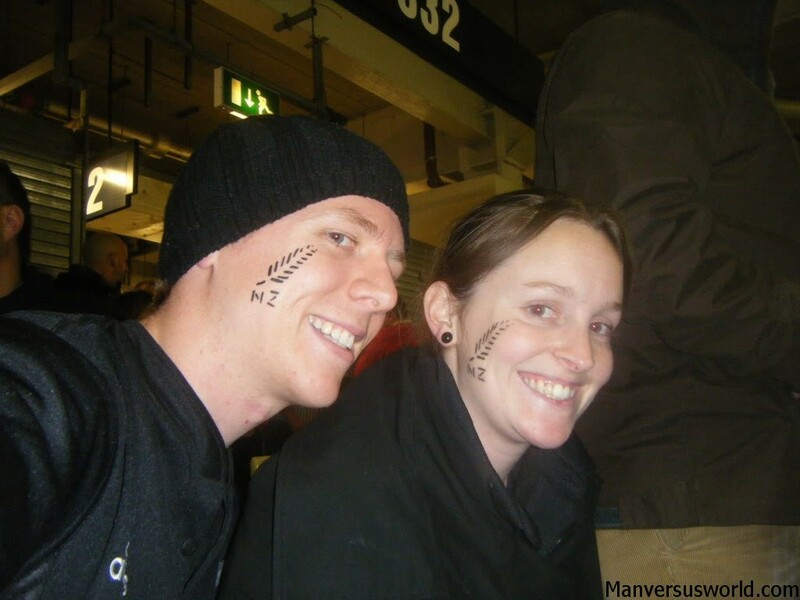 It was November 2009 and I had just travelled two hours from London to see the World’s Greatest Rugby Team™ the All Blacks take on the Welsh in what I hoped would be an epic test match. A battle of tries, tackles, scrums, line outs, penalties and drop-goals (if none of this makes any sense to you, don’t worry – it’s not important for this story). Immediately outside the train station was a lady selling Welsh flags. Eight hours before kickoff. As I walked into town proudly wearing my All Blacks jersey, absolutely everyone seemed to be decked out in red – shop keepers, mums with small children, taxi drivers, homeless people – all wearing rugby jerseys, waving Welsh flags and wearing face paint. Frankly, it would have been quite intimidating if not for the fact that they’d keep stopping me in the street to discuss my team’s chances in the upcoming match. 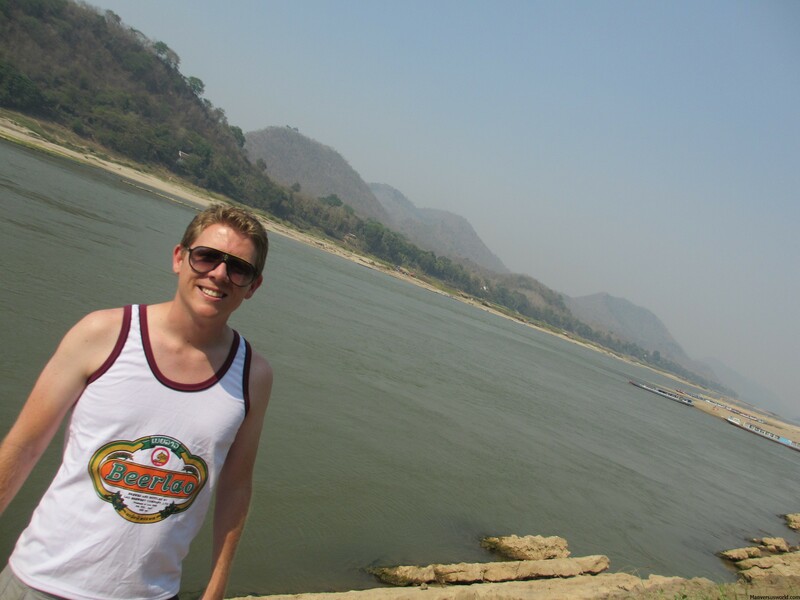 “Come over here, darling – this chap is here from New Zealand for the game,” one man definitely did not say to me. He said it to his wife, referring to me in my All Blacks garb. I was greeted so enthusiastically that, at times, I felt compelled to say that I wouldn’t actually be playing in tonight’s game. 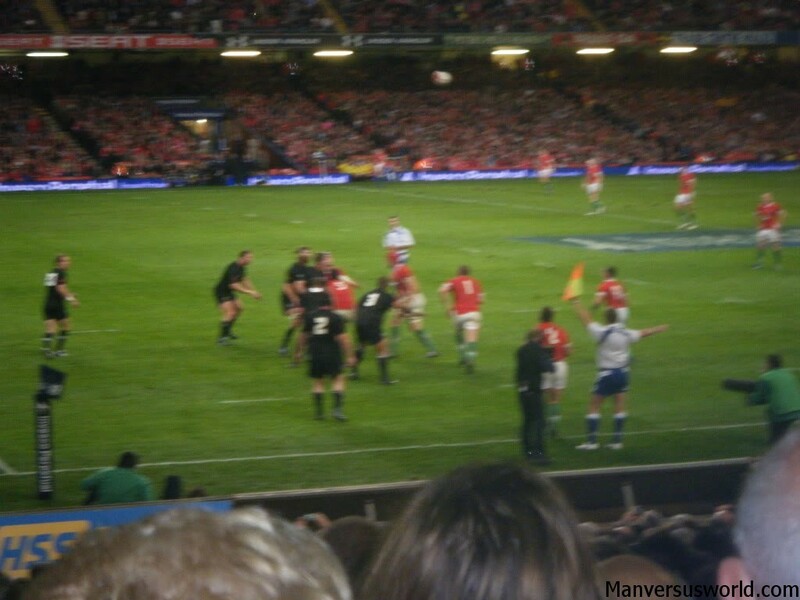 As for the game itself, well, it would have been a bit of a dud if not for the explosive atmosphere within the famed Millennium Stadium. The famous haka (Maori war dance performed by the ABs before every international rugby match) was drowned out by more than 70,000 Welsh fans singing God-only-knows. I have never experienced such passion at a sports match. Tied at 6-6 at the half, the crowd was even louder in the second half. So noisy was it, that the ABs struggled to hear each other on the paddock, making a number of uncharacteristic errors that nearly cost them the game. It was enough in the end, though, with the match ending 19-12 to the ABs. If not for a slightly dodgy tackle at the death made by NZ number ten Dan Carter on the Welsh number nine, Wales might have grabbed a draw or maybe even the win – the team’s first against NZ since 1953. As the fans booed and the players left the field, I started to regret getting my face painted with a black fern before the match. How would the fans react? Was I safe to make my way out of the stadium? But this wasn’t England and these were definitely not football hooligans. 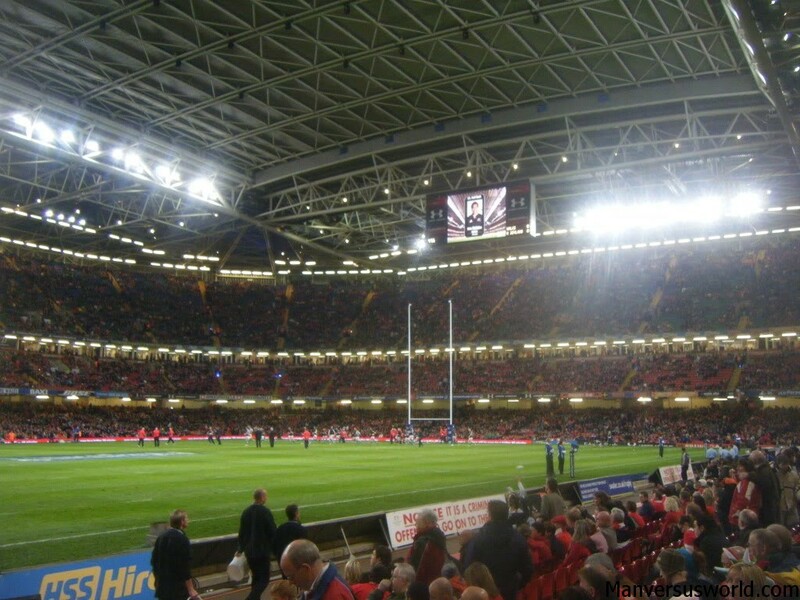 In fact, Welsh fans were so unaffected by the final result that later on in the men’s bathroom – not normally the time or the place for small talk – I had Welsh rugby fans coming up to me to chat about the game. Cardiff is quite a town, eh? 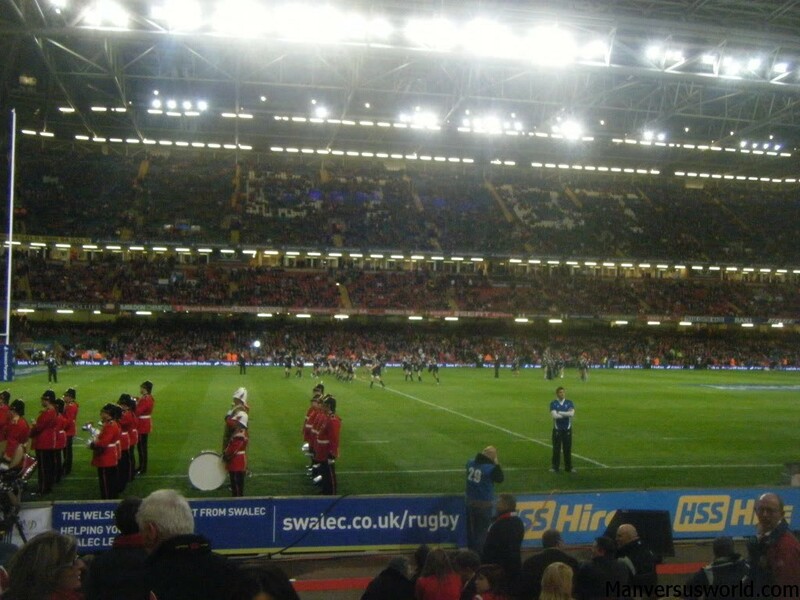 You could do far worse than catch an international rugby match in friendly Wales. Every sports fan travelling in the UK should be so lucky.